So one of the guys I work with is getting married tomorrow. So I made a card for all of us at work to sign. He said they really didn’t have wedding colors but was decorating in sunflowers and country feel. So this is what I came up with!! Found the sunflower stickers at Hobby Lobby and they were on sale that week!! 1) September Card Sketch Challenge @ Scrapbook.com – sketch #5. Original is from Atlantic Hearts Sketch Challenge #157. 2) September Inspirational Card Challenge@ Scrapbook.com – Bonus category – Something old. Use something old from your stash that you have not used in a long time (you can’t remember the last time you used it). Well the metal charms I have had forever and I don’t use them very often. So I made the wedding card and decided it would work for birthday to so I made a birthday one! One of the guys I work with his girlfriend loves sunflowers and her birthday is in October so I decided this design could also be for birthday! I didn’t have any birthday charms so I just left that element off. This is my 2nd card with sketch #1 from the August Card Sketch Challenge. I saw this sketch and thought it would be perfect for a friend of mine who just became a grandma for the first time. The colors on the card are the colors of the nursery. I wanted a fun happy card cause that is the type of grandma my friend will be. Now the card didn’t come out as cute as I pictured but she loved it so that is all that matters. And I finally used my Sew Easy that I have had forever!! 2) August Inspirational Card Challenge – Bonus – Make a simplistic card. So one of my co-workers requested a 21st Birthday card for his daughter. He said an alcohol beverage was okay and to make it a fun birthday card. Well, I hope I did just that with the bright colors and design. He said he liked it! I used sketch #142 at Feeling Sketchy for my design. I found the bubbly drink sticker in my stash that matched perfectly with the Doodlebug glitter stickers I used for the “21”. I finally got to use the frame with bubbles from the Elegant Edges Cricut Cartridge!!! April Sticker Challenge @ Scrapbook.com – use up your stickers! Colour Q Challenge #336 – use the colors provided as your inspiration. My black is in my lettering. I almost forgot about this card! I’m not even sure what I was looking for but found this Spring Flowers sticker all by itself. Well, Scrapanda has challenged us to use our stickers and I happily accepted. I went looking at sketches and found Sketch Saturday #402 would work nice with the sticker. I then went to my Easter scraps and found this old KI scrap that matched perfectly!! The tag looked to bare so I got out my new basket weave embossing folder since baskets go with Spring! Got out my EK Success flower punch to add a little something in the corner of the tag! Oh and a little purple gingham ribbon and the card was done…all inspired by a sticker!! I apparently like this sketch found on Stickersnfun.com as I used it on two cards this month (see below for 2nd card)! 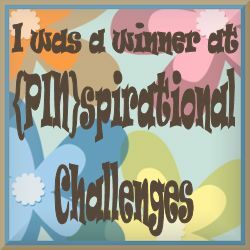 March Inspirational Card Challenge @ Scrapbook.com – Favorites Category. Inks: My wonderful husband colored the image in Photoshop and then I printed it on a Canon Inkjet Printer. Here is the 2nd card I made this month with the sketch from stickersnfun.com. I actually made this one first. Trying to use up these stickers that I got at hobby lobby over a year ago. I thought the sketch would go perfectly and it did. I plan on making several other months with the same sketch….just have to find the time. 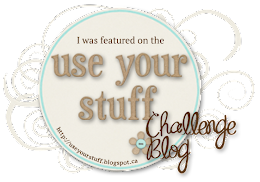 March Sticker Challenge @ Scrapbook.com – use up stickers from your stash. When I saw Vivian Lake’s card that is for the “lift” category in the Feb Inspirational Card Challenge I figured I had a digital stamp or SVG that I could use. But then I thought I bet I have 3- dimensional stickers that would work. I didn’t even get to the sticker binders before I found these in the cabinet laying next to the binders. While looking for paper I remember the challenge at Jingle Belles Christmas Challenge is to you lots lot of text. Well I know it is the same word over and over but when I saw it I thought it looked good and worked for the challenge. 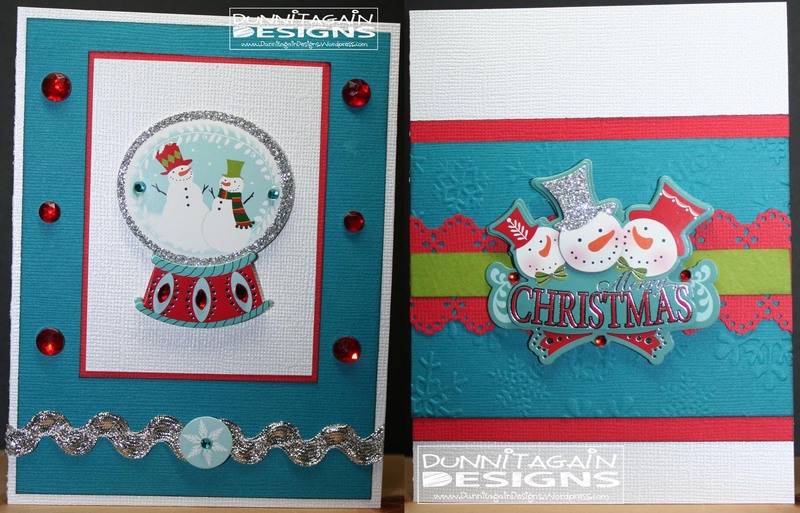 I embossed snowflakes on the white piece that look just like the ones on the blue piece. 1) Feb Inspirational Card Challenge – Lift Category – lift Vivian Lake’s card that is posted. 2) Jingles Belles Feb 12th Challenge – Text Me – use fonts…focus on the text/words of the card. Hopefully this is enough text on the card. I hope you can see all the sparkles on the stickers plus the shiny rick rack and gems makes it pretty Shiny/Glittery! Oh I also used shiny white cardstock. Hope you play along with us.